Look Out Demons, The Exorcist is Coming! Talk about the Dodge Challenger SRT Demon is dominating the interwebz these days thanks to Dodge’s long roll-out and weekly teasers. The ultra-high performance drag car is set to break records for a production car thanks to incredible engineering and pacifist corporate bean-counters. But the Demon may have met its match. 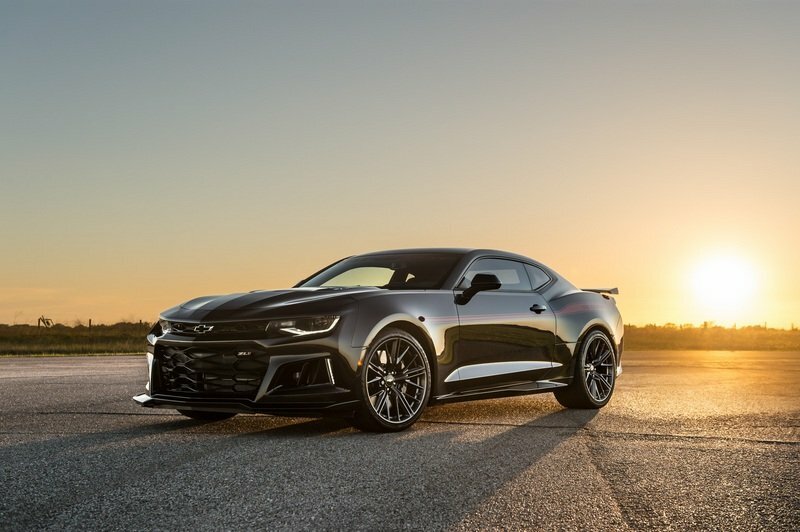 The Texas performance house, Hennessey, just debuted a highly tuned 2017 Chevrolet Camaro ZL1 with 1,000 horsepower, drag slicks, and the most appropriate name ever crafted for a car. Meet The Exorcist! That’s right, The Exorcist. 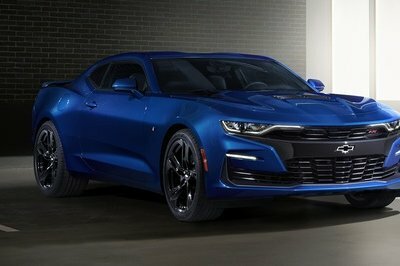 Hennessey CEO and president John Hennessey says it will “leave the competition’s head spinning.” Clearly referencing pop culture, John is keenly aware what his Camaro is going up against. The Dodge Demon is rumored to have between 750 and 800 horsepower matched with 315-series, DOT-approved drag radial tires, an intercooler chilled by A/C refrigerant, Drag Mode, and several other never-before-seen performance parts on a production car. 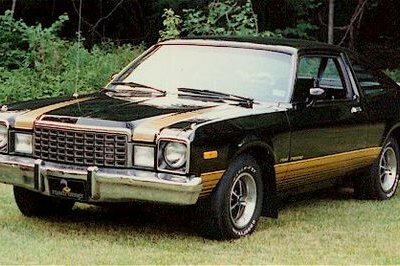 Of course, the Hennessey Exorcist can’t claim its stock straight from General Motors. Quite the opposite, in fact, thanks to Hennessey’s installation of a larger supercharger and intercooler system, a more serious camshaft, long-tube headers, a high-flow air induction system, and a custom engine management calibration for the ECU. Hennessey is claiming 1,000 horsepower at 6,400 rpm and 966 pound-feet of torque at 4,400 from the Camaro ZL1’s 6.2-liter LT4 V-8. 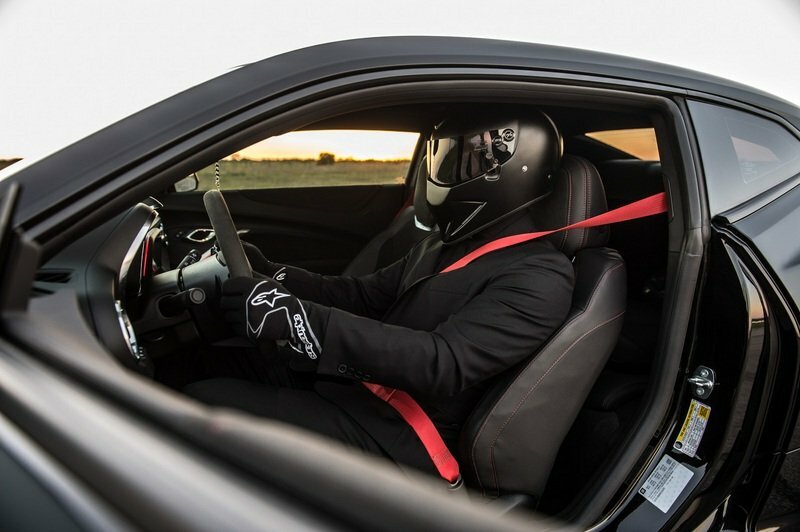 Testing by Hennessey shows the car hitting 60 mph in “under three seconds,” while the quarter-mile happens in “less than 10 seconds.” Official times have not been announced. And while The Exorcist is not a factory option, Camaro customers can order the Hennessey upgrade through their local Chevy dealership. The parts and service come with a two-year/24,000-mile warranty. Customers can choose either the six-speed manual or 10-speed automatic version. As for pricing, you’ll have to keep reading. Hennessey is offering several options, and we explain it all below. Continue reading to learn more about The Exorcist. This Tuner Built a 1,000-HP Chevy Camaro ZL1 1LE! The Exorcist upgrade package starts at $55,000 – and that doesn’t even include the 2017 Camaro ZL1, which starts at $61,140. So right off the bat, you’ll already be out $116,140. Ouch! 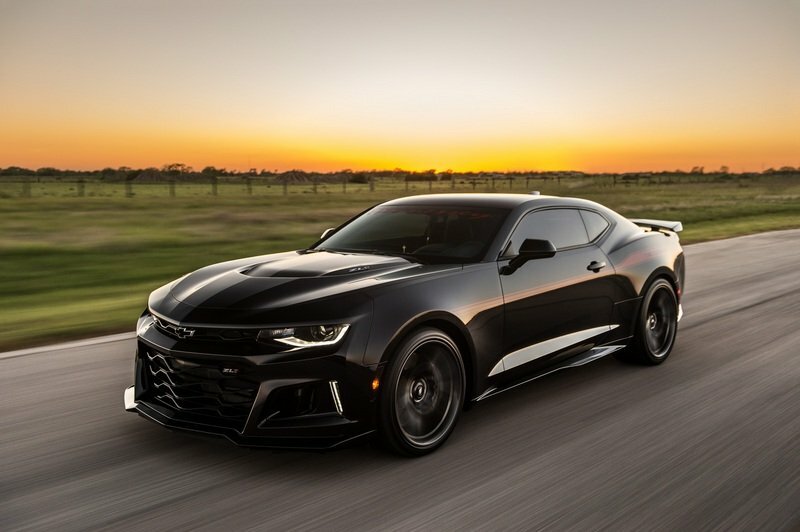 If you choose the Camaro ZL1 with the 10-speed automatic, Hennessey will charge you another $9,950 to upgrade the gearbox so it won’t explode when casting out Demons. If you want the optional “drag pack,” which includes 20-inch wheels with 315/30-series Nitto drag radial tires, and a stronger driveshaft, along with a custom floor jack and tool kit, you’ll have to pay another $8,995. And since the Camaro ZL1 is built to handle corners as well, Hennessey is offering a set of 20-inch custom Hennessey wheels wrapped in Michelin Pilot Sport Cup 2 tires for the low price of $6,995. Buy everything and you’ll be out $142,080, plus tax. You’ll also need money to pay a priest for Penance for the inevitable sins of excessive speeding. 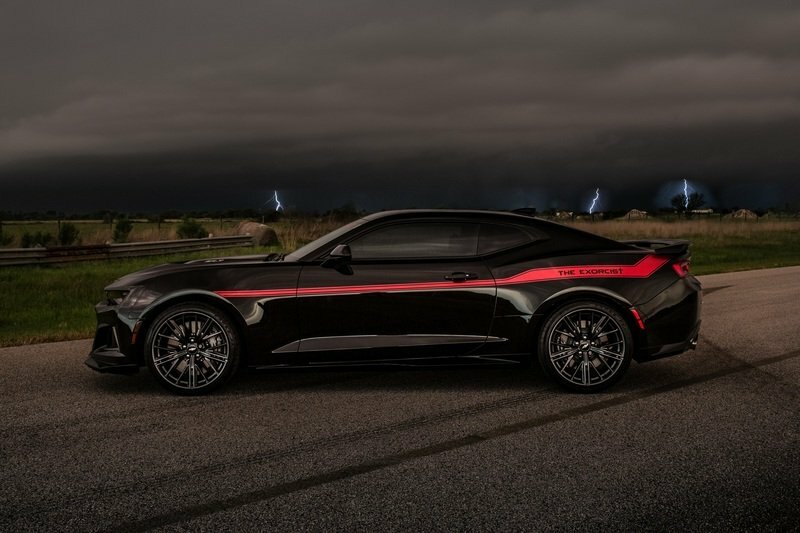 Hennessey is only building 100 examples annually from its Texas-based garage, so those serious about exorcising Demons had better act quickly. Hennessey Performance (HPE) introduces their newest super muscle car: THE EXORCIST TM. 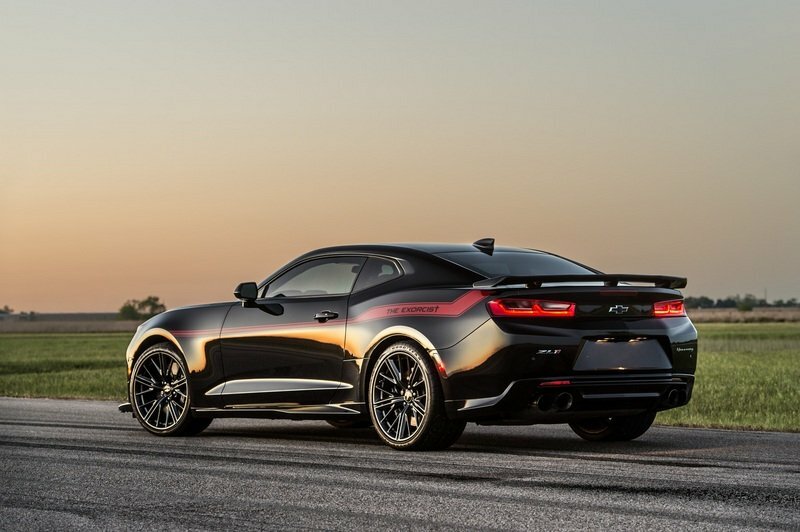 Based on the 2017 Chevrolet Camaro ZL1, the Hennessey team radically increased the Chevy’s LT4 V8 engine’s power to 1000 bhp @ 6,400 rpm and 966 lb-ft of torque @ 4,400 rpm. Power is increased via a series of engine modifications, including a larger, higher flowing supercharger & intercooler system producing 14 psi of boost pressure. This system is mated with ported factory cylinder heads, camshaft upgrade, long-tube stainless steel headers, high-flow air induction system and custom engine management calibration. THE EXORCIST TM is available for both 6-speed manual and 10-speed automatic equipped ZL1 Camaro’s. THE EXORCIST TM is available as a new turnkey vehicle from Hennessey and can also be ordered directly from Chevrolet dealers. ZL1 Camaro owners can also send their vehicles to HPE for the conversion. The base cost for THE EXORCIST upgrade, including the 1000 hp engine upgrade and graphics is $55,000 and includes a limited 2 year / 24,000 mile warranty. 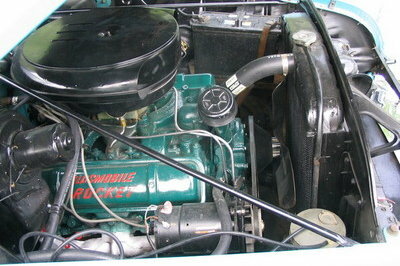 Automatic equipped vehicles will require an upgraded transmission at the cost of $9,950. The optional drag pack includes a pair of 20 inch wheels with 315/30-20 Nitto drag radial tires, drive shaft upgrade, floor jack and tool kit at the cost of $8,995. The optional road race pack includes a set of 20 inch light weight Hennessey wheels with Michelin Pilot Sport Cup 2 tires at the cost of $6,995. THE EXORCIST TM also includes optional delivery at Hennessey’s own ¼ mile dragstrip – Lonestar Motorsports Park – located next to the company’s workshop which is located an hour west of Houston, Texas. 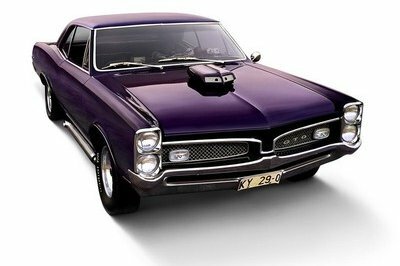 Just 100 units of the THE EXORCIST will be produced per model year. 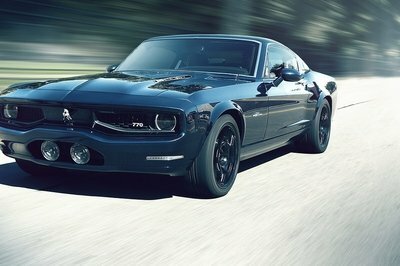 THE EXORCIST TM will make its public debut at the Houston Auto Show on Wednesday, April 5.